Remember, it’s still not too late to get those feature suggestions in! 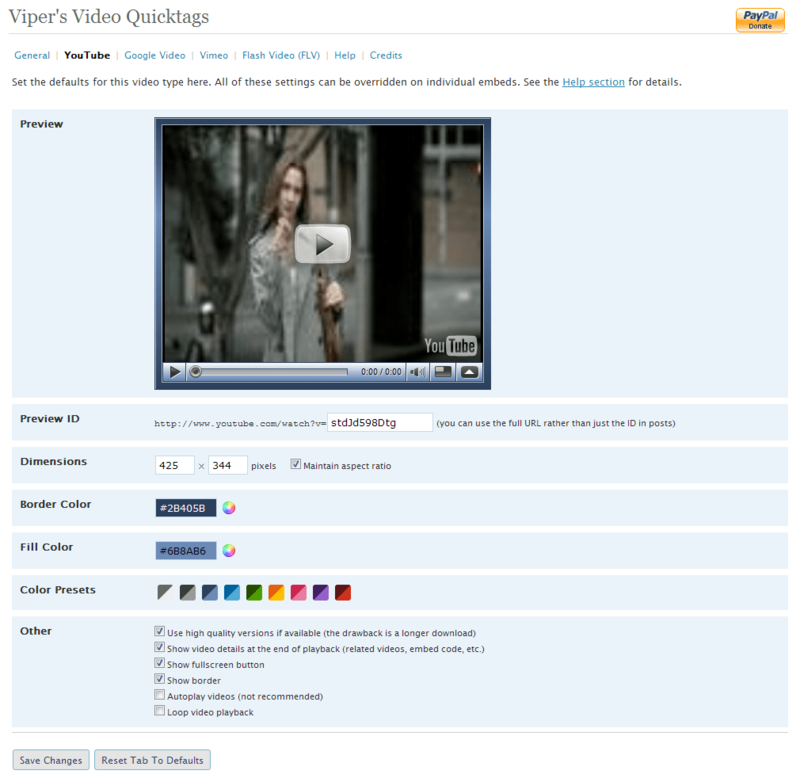 Post Feature Requests For Viper’s Video Quicktags 6 Here! I’m in the process on recoding Viper’s Video Quicktags and am looking for input. Notice that there is no way for my plugin to figure out the embed ID from the video’s URL. Viper’s Video Quicktags Is NOT Dead! I’ve resumed work on this plugin after letting it stew on the back burner for a month or two and I can say that I should have a release relatively soon. I’ve made major progress and come up with some excellent, excellent ways of implementing the plugin. Viper’s Video Quicktags v4.0.0 Released! I’ve updated my Video Quicktags plugin. It’s been recoded from the ground up. Many bugs were addressed and more video sites were added. I’ve updated my unexpectedly popular plugin to be more efficient (and less buggy) as well as to support more video formats. If you’d like details on it, just check out it’s homepage.